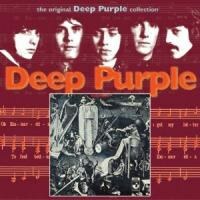 Evidence of Deep Purple's pop roots found on trio of early albums. 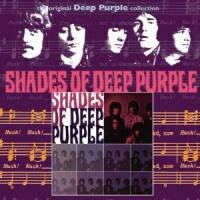 With no new Deep Purple material due for release in 2011, a heavy helping of live and studio reissues will doubtless sate the appetite of many a potential Purpler and longstanding Purple People. First up it’s a trio of recordings from the Mark I era, featuring vocalist Rod Evans and bassist Nick Simper. 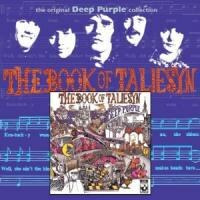 The three long players -- Shades of Deep Purple (1968), The Book of Taliesyn (also ’68), and Deep Purple (1969) -- are not the far cry from the later DP outings that some might have you believe. After all, three of the group’s long-running -- and most critical -- elements, keyboardist Jon Lord, drummer Ian Paice and mercurial guitarist Ritchie Blackmore, were already in place. Although Evans had a voice perhaps more suited to heavy pop rather than heavy rock, the results of the original quintet are both respectable and consistent. Of the four originals on the original release of Shades, “Mandrake Root” is perhaps the best. Although it’s highly reminiscent of “Foxy Lady” and not that far removed from an American hillbilly song, it’s indicative of later pieces such as “Highway Star” and “Lazy”. The album also includes the group’s first hit single, the Joe South-penned “Hush”, which is perhaps overly familiar to most listeners but sounds amazingly fresh in the context of the larger album. A psyched up version of “Help” is more than a curiosity -- it’s evidence of the band’s mastery at interpreting the works of others and Lord’s keyboard work at the beginning, along with Blackmore’s sensitive arpeggios remind us that Purple was about subtlety as often as it was about lack of it. Five bonus tracks round out the reissue and the best of the lot is easily “Shadows”, an outtake from the studio sessions. Eerie, earthy, and almost entirely out of place among the other early tracks, it’s a glimpse at what might have been. Live readings of “Hey Joe” and “Hush” are interesting artifacts but lack the real surprise of the aforementioned “Shadows”. The last of this lot -- 1969’s self-titled release -- puts the final nail in the coffin on the Evans and Simper era. While the group moved into vastly heavier terrain with “Chasing Shadows” and its African rhythms Evans sounds more and more out of place in a band that was increasingly more comfortable with stretching itself beyond the confines of pure pop pieces. Nowhere is that more obvious than on the 12-minute “April”, which closed the original album. Combining elements of classical music, spaghetti western soundtracks, and the immortal ‘eavy rock, it fully predicts the direction that Purple would take for much of the ‘70s and, to a certain degree, the work that Blackmore would do with his post-Purple band Rainbow. Not only is it the most ambitious thing on the entire record, but it’s also arguably the best. By the end of ’69 both Simper and Evans would be out of the band, replaced by Ian Gillan (the quintessential DP vocalist) and Roger Glover. That band would gain the ultimate glory with 1970’s In Rock and 1972’s Machine Head. But that is another chapter in one of the longest and most fascinating stories in all of rock ‘n roll.